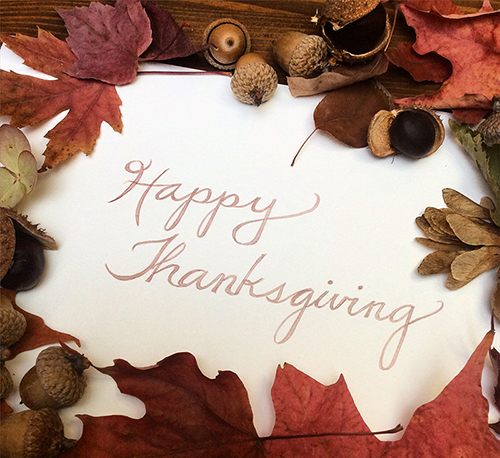 I want to wish a 'Happy Thanksgiving' to all of my friends and customers who are celebrating today in the United States. I hope you have a lovely day with family and friends. I hand-lettered this message this morning in watercolour and then surrounded it with some of the nature finds I have in my studio. I wrote the words in pencil, fleshed out the letters and then filled them with watercolour. In Canada, we celebrate Thanksgiving in the month of October! It's always on the second Monday in October. I've always been a little jealous of the American tradition as I feel you have a more formal beginning to the holiday season. In Canada, there's a very long gap between Thanksgiving and Christmas and I never feel quite ready. Meeko's ready for the holidays though. He told me so. 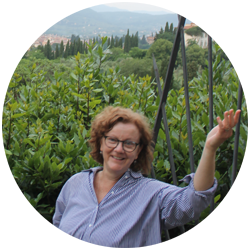 I've been busy this month although I haven't been posting here on my blog very often. If you follow me on Facebook or Instagram, you will have seen that I've been working on a new series of flower paintings. I will be working at creating prints of them in the next few days. If I have time, I am also hoping to include them in a special project. I'll let you know. 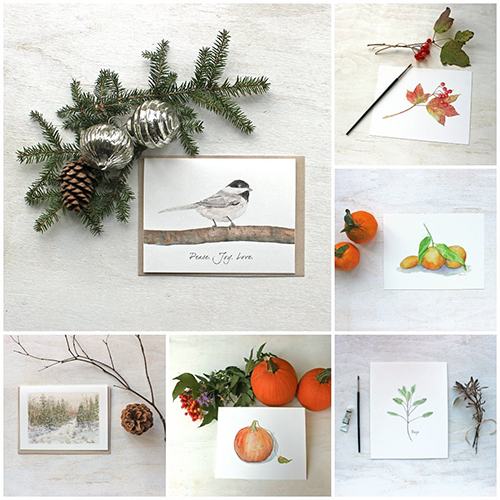 I also wanted to mention that I am having a holiday sale in my art shop. You can get 20% off, now through Monday, November 30th. Just use the coupon code SHOP2015 at checkout. I've introduced a lot of new work to my shop recently. 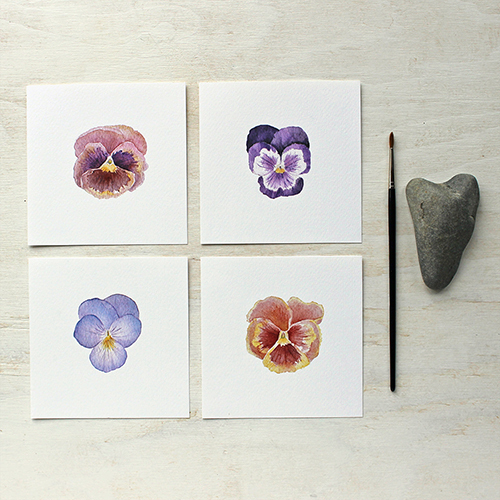 During the past week, I introduced a new collection of pansy prints. They are available individually and as a set. I have a real soft spot for pansies. Aside from being beautiful flowers, they are associated with many childhood memories. I used to pick pansies in my grandparents' garden. An extra layer to those memories and associations is the fact that my grandmother's name was Viola. This past week, I also had something to celebrate. 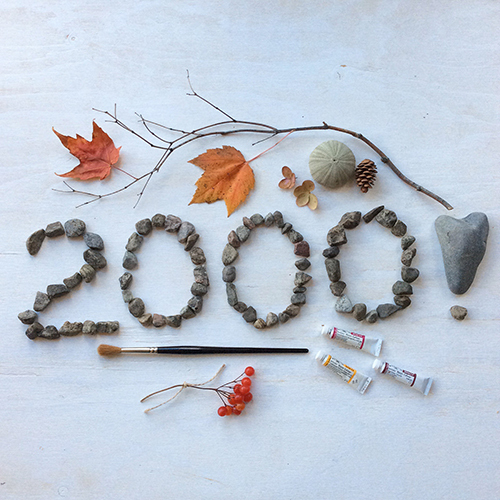 I passed 2,000 followers on Instagram! I appreciate the people who follow me there so much. Instagram is definitely one of my 'happy places'. It's a great place to feel encouragement and inspiration. A real hub of creativity. Because I have been working on the computer so much the past couple of weeks to convert paintings into new prints, I find my afternoon walks with Meeko extra restorative. 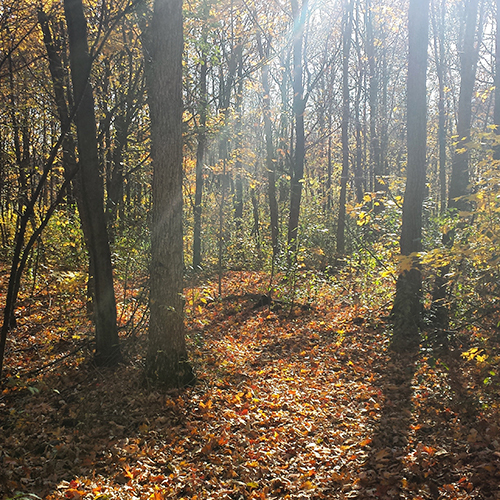 On Friday afternoon, I decided to walk a little farther than usual on a road we don't usually take. 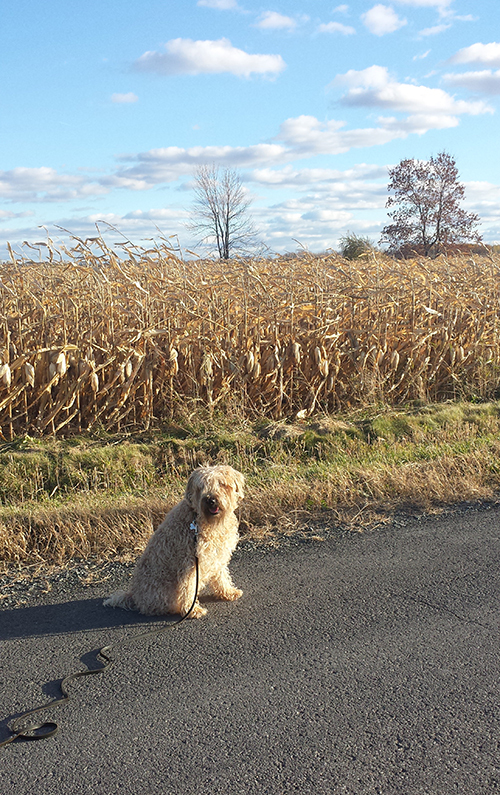 The road is bordered by corn fields. It was so beautiful. That was the day that I learned that Meeko is the colour of a corn field in autumn. Now you know too. While I do love autumn, November is not my favourite month. I miss the flowers in my garden. I find the lack of daylight hard. It makes taking product photos more complicated. I don't like that it's already dark when Chloé gets home from school. I start to feel the pressure of the impending holidays. I have lots of things to keep me busy in the weeks ahead which is good. 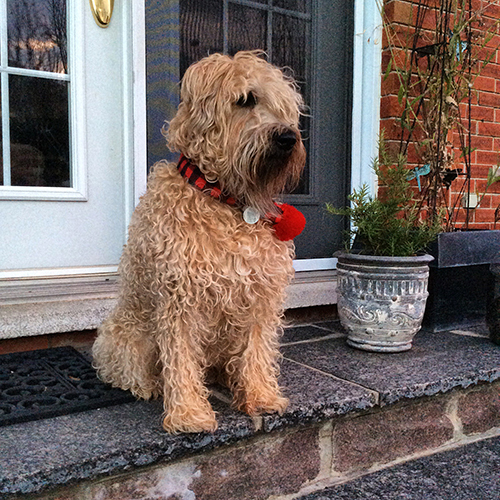 Colder days will mean that I can start to walk regularly in the little forest with Meeko again. We've already been a couple of times. With plentiful studio time and Meeko time, I'll get through November just fine.